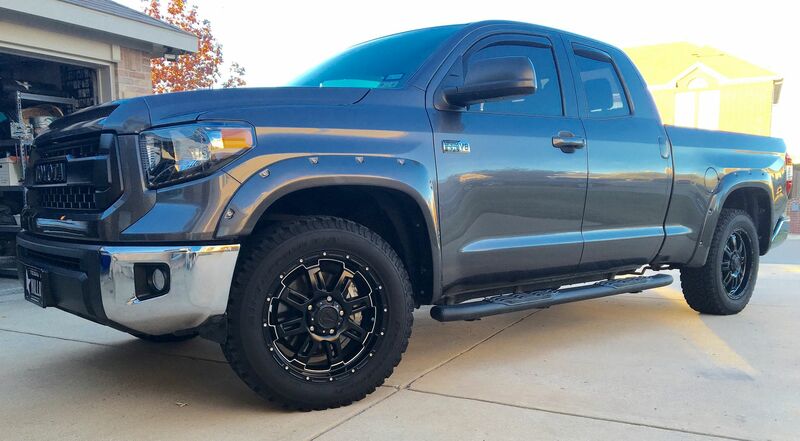 (2014 - 2017 TRD PRO Hood Bulge & Grille Set Black). 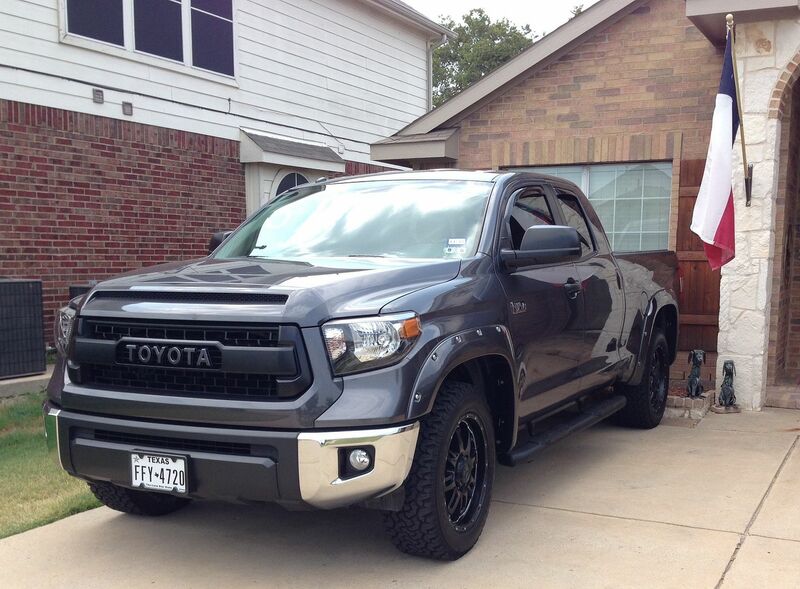 Does anyone know if it will fit my truck so all the chrome is blacked out? I think there is more than one black color so make sure it is the one you want. Also there is chrome in your headlights, so if you really want the chrome gone consider replacing the headlights. 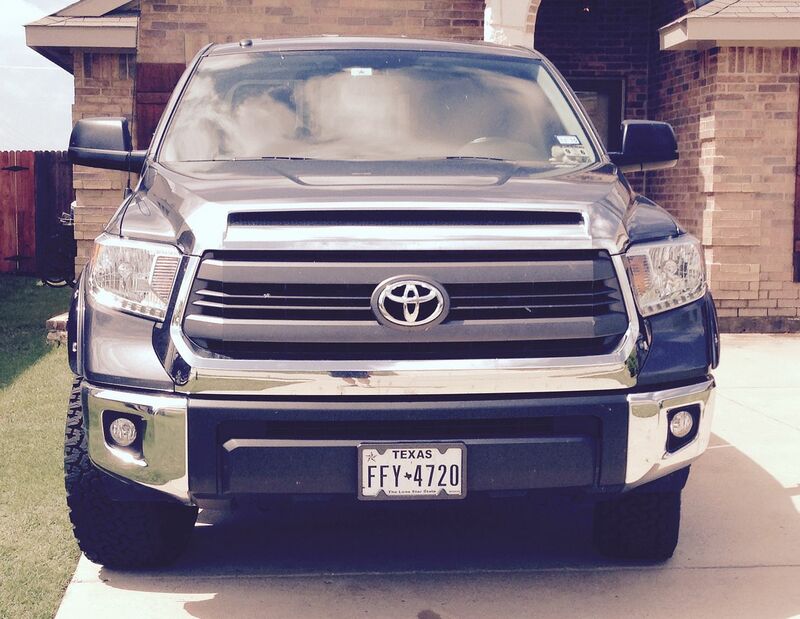 I swapped my 2014 SR5 chrome stuff for the TRD Pro grille and matching hood bulge. I also bought black TRD Pro headlights. Back in 2015 there wasn't an MGM grille surround so I had mine painted, had the TOYOTA letters painted too. 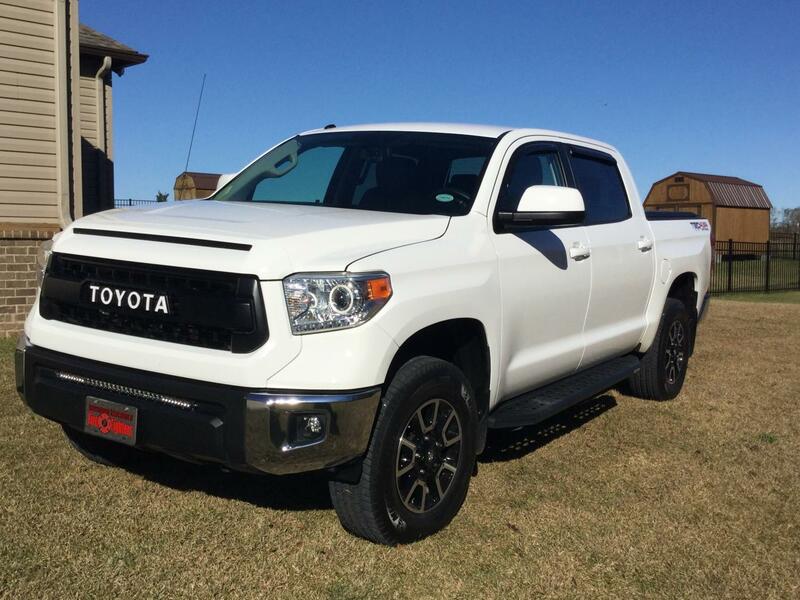 If you are considering replacing the headlights, research the 2019 LED TRD Pro headlights with the wiring harness. Here is his parts thread, you'll find the grille, hood bulge, and headlights. Thanks for the input, really appreciate it! 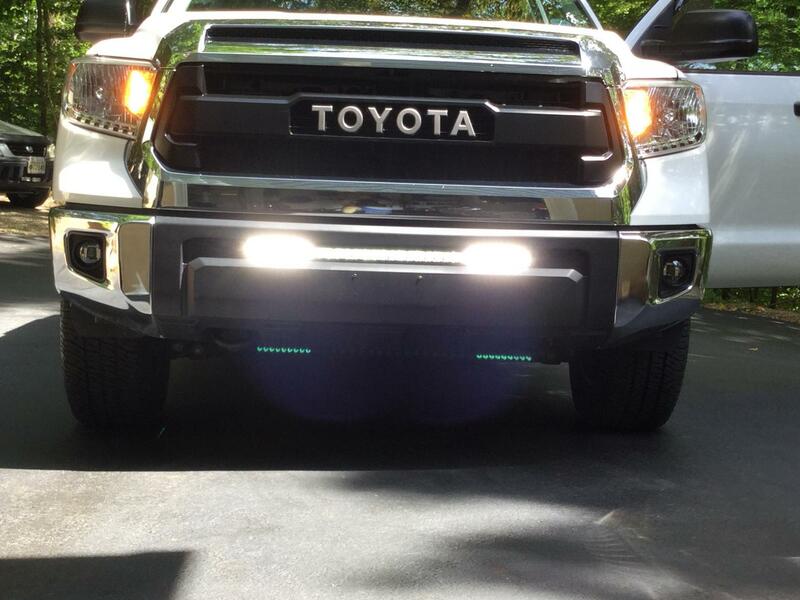 What light did you put in your bumper? The Rigid Industries 30’ Pro SR series along with the mounting brackets. TBH, the brackets tend to squeak at times. I’ve tried just about everything toget itto Stop. Good thing is that it’s intermittent. Last edited by SEBamaTundra; 04-17-2019 at 01:28 PM.